As we’ve stated before, the vintage watch market is fraught with pitfalls related to authenticity, originality, and provenance (among other things). In a world where countless collectors have jumped into the game of flipping watches from often questionable sources, finding your next pristine vintage watch isn’t as straightforward and foolproof as it could be. Enter the Frankenwatch; a creation of varied origins sometimes assembled due to a lack of information of of correct replacement parts, and in other cases coming in the form of ‘making the best of a bad situation’, where a watchmaker is left with mismatched parts and decides to create a watch from what he has handy rather than letting parts sit on the shelf. Either way, these watches can be interesting (and sometimes quite cool in their own right), but on the scale of collectibility they simply are nowhere near as desirable as a proper original vintage timepiece. Frankenwatch Versus Mod – What’s The Difference? These two terms are often thrown around on the watch forums in often interchangeable context, though at its root there are distinct differences between the two terms. Sure, the end product may look the same, but the biggest difference lies in the intent. 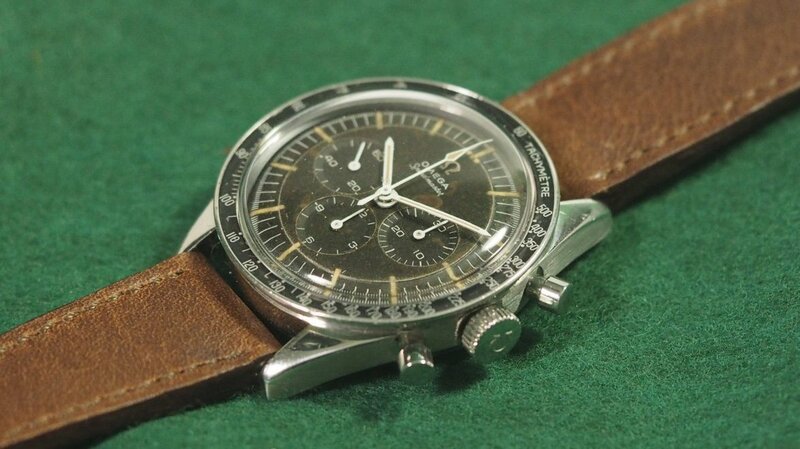 You see, the “watch mod” world is a particularly booming scene, especially in the world of approachable/affordable watches. Around the globe, from the Phillipines, to Singapore, to Germany, and especially throughout North America, there’s a grassroots movement obsessed with taking watches and adding a personal twist. 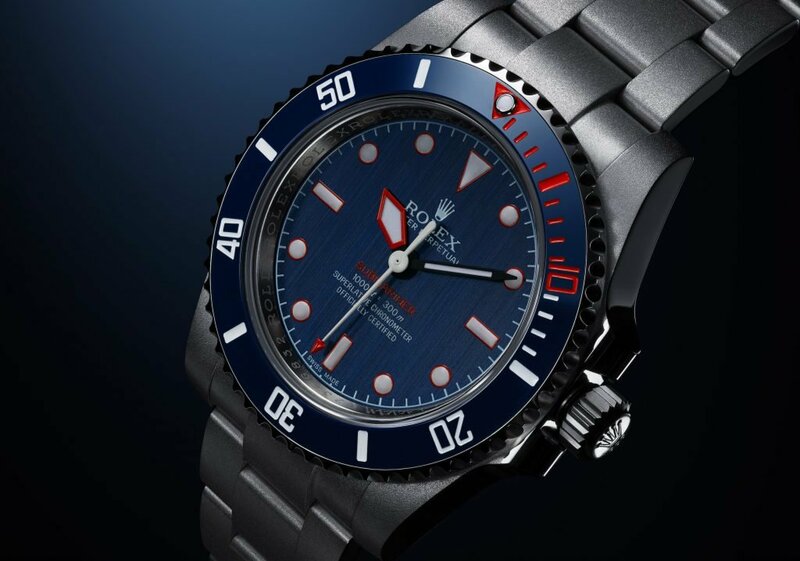 Seiko divers are the easiest target for this, but we’ve seen Speedmasters and Rolex Datejust models with funky painted and decorated dials, among other things. If you think about it, the work of George Bamford, known for his customized Rolex watches (now working with TAG Heuer, Zenith, and the rest of LVMH) pioneered this movement years ago. Nowadays, you could even call the limited edition engraved URWerk pieces being sold by Revolution Mag “modded” watches, though the work is technically being completed with the company’s blessing. Back to the topic at hand, the difference with a Frankenwatch is simply in the fact that the alterations being done aren’t intended to give the piece a little extra personality or flair. In a lot of cases, they’re build to deceive the less astute collector, and to appear as a piece that was actually built in the period its dial and case appear to be from. Tracking down historical imagery on a lot of vintage watches can be a serious challenge, and this is precisely the kind of thing that an unscrupulous reseller or watchmaker hopes to capitalize on. In some cases, like the clearly disclosed replacement hands, pushers, and other goodies on the Speedmaster 150.003-64 tropical dial pictured above, it’s hard not to notice how the significant aging of the dial doesn’t jive with the crisp white of its hand set. On the other hand some watches aren’t nearly as easy to authenticate without the input from someone who’s well versed in the category. If you search Google for “Frankenwatch Breitling”, you’ll see all sorts of interesting stories from people either acquiring or spotting a frankenwatch or out right fake vintage Breitlings being passed off as original. Case and point, this “Breitling” Chronomatic Caliber 12 doesn’t immediately seem to throw up red flags, at a quick glance at least looking somewhat similar to other examples out there. A closer look from serious collectors, however, and we learn that it is another case of someone raiding the spare parts bin. The old adage of ‘buyer beware’ has been out there for ages, and though we’re in a different age of access to information, that doesn’t mean a few extra minutes on Google will make you an expert on things manufactured long before the digital age. There’s a reason the big auction houses are still relevant in this day in age, and that’s because they’ve had the ability and resources to invest in education, and hire incredibly talented specialists in their respective categories. The same goes for watches. You can’t throw a stick and not hit someone who’s flipping watches these days, but of that pack, you want to choose those who are doing everything in their power to ensure that what they’re selling you is authentic and functioning properly, and also openly disclosing any information available regarding history and originality. It’s what we try to do every day.